What is a Quartermaster? That is what I wanted to know. 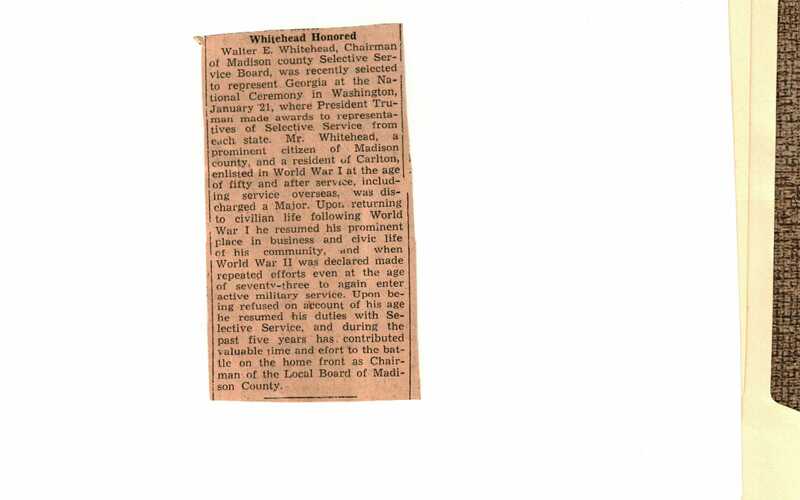 My great-grandfather Walter Everett Whitehead was a Quartermaster. I have written about him many times. However, I continue to find new things about him. As you know, Walter Everett Whitehead was a very patriotic man. He was involved in three wars, the Spanish-American War, World War I, and World War II. After I read that, I wondered how that was even possible for him to be involved in three wars. According to a snippet from newspaper, The Constitution, it mentioned that Walter served in the Spanish-American War. Walter would have been 29 years old when President McKinley asks Congress to go to War on April 11, 1898 (Spanish-American War Chronology). I do not have any genealogical proof of his participation, but I am still looking. During World War I, even though he was too old to enlist (approximately 50 years old); he found other ways to get involved. He was a Quartermaster at Camp Joseph E. Johnson in Florida in 1918. I have not read volumes about the military, nor have I ever been a military buff. However, as you delve into genealogy, you begin to read about the life and times of your ancestors. Here is a bit, of what I learned. Quartermaster officers are responsible for making sure equipment, materials and systems are available and functioning for missions. More specifically, the quartermaster officer provides supply support for Soldiers and units in field services, aerial delivery, and material and distribution management (Quartermaster Officer, 2015). Essentially the Quartermaster services are like a large mail order house, whereby different supplies are requested and distributed. While visiting the Carlton home, I found some treasures of his military service. There was a little ledger that he used to take notes. It was dated October 1918. My great-grandfather took some notes in this little ledger. One of the things that he wrote was a lecture he attended on 18 October 1918, about Influenza in Horses. He would attend the interval camps in connection with Remount Service. I had to learn what Remount Service meant as well. Walter’s assignment meant that he oversaw the procurement and training of horses for the US Army. During my genealogical visit to Walter’s home, I scanned a few important military papers. I did not have enough time to scan everything that I wanted to but I have a few. That just means I will have to go back! There was a correspondence dated 19 September 1928, which reappointed Walter as captain in the Army of the United States. He was 60 years old at this time. He was still serving his country as a Quartermaster Reserve Captain. The next year on 17 May 1929, he was promoted to Major. While he was serving his Country, Walter continued to serve his home state of Georgia. 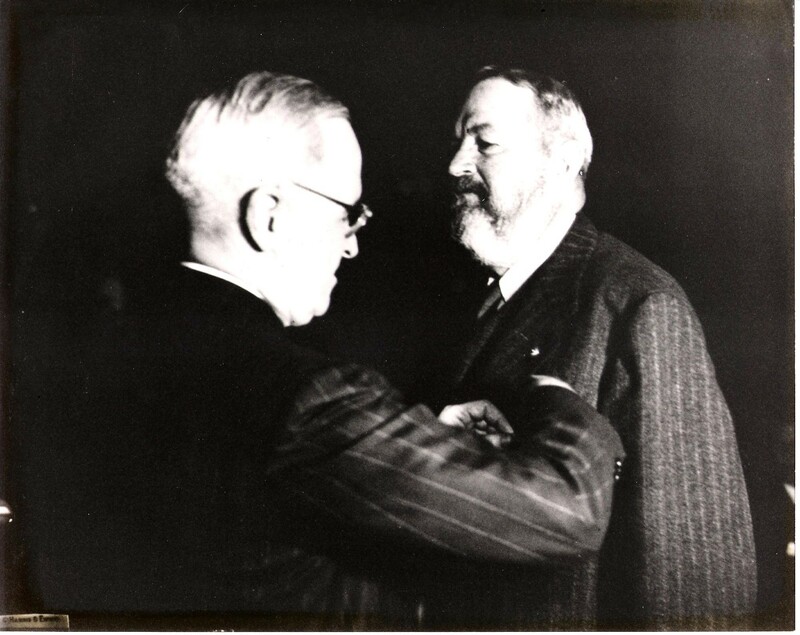 I have a letter dated January 11, 1932, announcing that Walter was promoted to Lieutenant Colonel, Aide de Camp for Governor Richard B. Russell. He was 64 years old. Another correspondence that I was able to scan was from the Governor’s office appointing Walter to the Madison County Selective Service Board on 17 October 1940. He eventually became the Draft Board Chairman. Walter attempted to join the service during World War II, but was denied after physical examination. He was 76 years old! 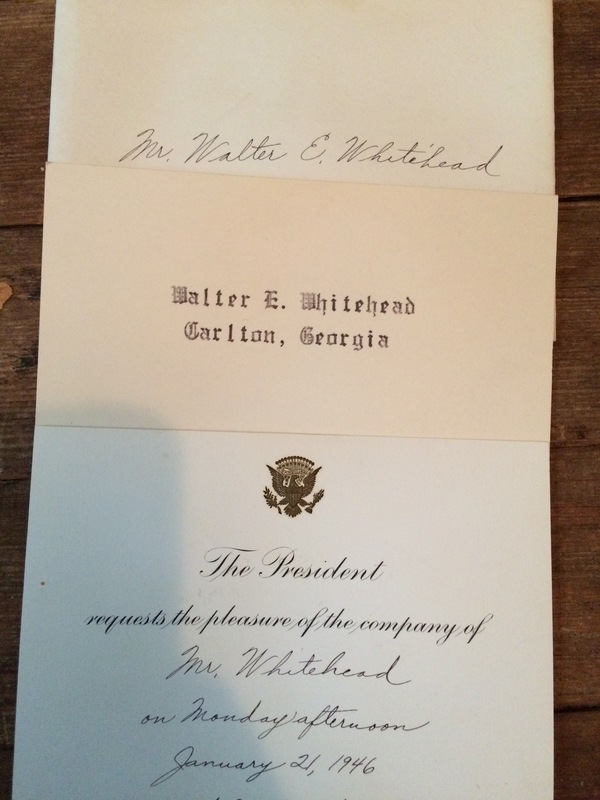 In 1946, Walter was invited to Washington DC to represent Georgia’s Draft Board Chairman for their contributions to the war effort. He was 78 years old. Walter and his son Joe attended. President Truman pinned the Selective Service Medal during this ceremony. What a fitting tribute to a man who dedicated his life to serving his state and country. In addition to all of this, he also served as a Georgia State Senator on two occasions. I will discuss those terms at a future time. Until later, I will be exploring backwards!